Warning: I'm going to include some compact and all-in-one cameras in this mirrorless article. After all, they don't have a mirror ;~). Note that I also consider anything released in the two weeks prior to CP+ as being CP+ related. Some products you may think are CP+ related, e.g. the Olympus E-M1X, fall outside that cut-off. CP+ seemed a bit like a coming out party for mirrorless (not that it wasn't already out). By that I mean that it was ubiquitous now that virtually everyone's got their feet in the water (hello, Pentax?). 7 Artisans 60mm f/2.8 macro M, X, m4/3, E mount—A manual focus 1:1 macro lens for a number of crop sensor mounts (doesn't cover full frame). It's a little difficult getting excited about these relatively simple optic design manual focus lenses coming out of SE Asia, but it is increasing the available choices, often at reasonable pricing. Available in May. Canon RP—Entry full-frame mirrorless has a new price, US$1300. What we have here is basically a 6Dm2 DSLR that's lost its belly (mirror) and a great deal of size and weight, and then decided to price itself lower, too. Yes, the sensor is older and there are performance and features that are missing. But, frankly, not a lot of people need more than what the 6Dm2, and now RP, deliver. Canon has accepted Sony's challenge and put a strong marker in the sand saying that they won't give up market share without a fight. I've already written a lot about this. Available now. Canon future lenses RF mount—Canon finally got around to something akin to a near-term lens road map (15-35mm f/2.8L, 24-70mm f/2.8L, 24-240mm f/4-6.3, 70-200mm f/2.8L, and 85mm f/1.2L). That mostly L-list looks impressive. More impressive than the announced cameras that can use those lenses for the most part (see my extended comments). Availability spread over 2019. CFexpress—The next generation of CFexpress—2.0—standards have already been announced, and CP+ was the coming out party. That despite the fact we don't have any 1.0 cards or devices on the market yet. Ironically, the chairman of the association behind the standards is from Canon, which doesn't currently use XQD (the CFexpress predecessor). So it was kind of strange to hear a Canon executive announce the future of what Nikon has already committed to. There was interesting news in the announcement, too: current XQD is what will become CFexpress Type B. Type A will be a form of the card standard in a smaller package (look out SD). Type C will be a much larger package with new state-of-the-art hard drive type specs (up to 4GBps performance). Don't get confused by all the announcements regarding CFexpress. We're about to get CFexpress 1.0 cards, though it appears they will all be labeled as Type B, which is from the 2.0 standard. Those cards are the direct descendent of XQD, using two-lane Gen 3 PCIe as the interface. The primary difference between the cards we'll be getting soon (1.0) and the next generation (2.0) of Type B cards is that the software stack will move from NVM Express 1.2 to 1.3. Otherwise the broad specifications are the same. Put another way, Type B cards should have broad backwards compatibility if the device creators are paying attention and updating their firmware appropriately. Nikon and Panasonic are already using XQD and will support CFexpress. We'll see more companies coming onboard soon. Fujifilm 16mm f/2.8 XF mount—Small, light, and inexpensive (as lenses go). A very nice addition to the more compact prime line for XF, and one I hope will prove to be optically decent. This lens, a 35mm f/2, and a 50mm f/2 make for a relatively inexpensive and small/light wide-to-telephoto prime set (24mm, 52mm, and 75mm equivalent). March availability. Fujifilm X-T30—The camera most of you should probably buy if you're committed to XF APS-C. It doesn't give a lot up from the X-T3, but it comes in at a price that—especially given Canon's RP full frame entry—is more like it for APS-C. March availability. Kipon Canikon adapter—Adapts Canon EF autofocus lenses to the Nikon Z mount. Now, you'd think that Nikon would be a big fan of this, as it would make it easier for Canon DSLR users to switch to Nikon mirrorless. But Nikon being the closed shop they are probably isn't interested in supporting this type of thing, which means that it's all up to how well the reverse engineering went. Kipon Baveyes 0.7x focal reducers now Mark II for m4/3—The Kipon Baveyes focal length reducer adapters have an upgraded optical system now. Canon EF, Contax, Leica M42 and R, Olympus OM, and PL mount versions. Leica 35mm f/2 L mount—A new L-mount lens with autofocus. A just-in-time moderate wide angle for Panasonic S1 users (plus the five SL users out there ;~). Mitakon Speedmaster 50mm f/0.95 RF, Z, FE mount—Mount additions and a minor optical update of an existing lens (previously made as an FE lens). I didn't think it a great lens before, I doubt it's a great lens now. Nikon 24-70mm f/2.8 S-line Z mount—This probably wasn't the lens we wanted launched next for the Z cameras as it duplicates a focal length we already have, but it's nice to see that Nikon is pushing hard on getting lenses to market, even if they're trickling out one by one. 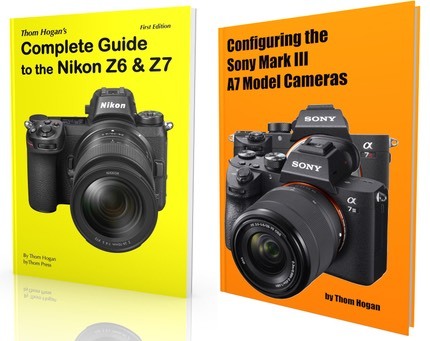 If Nikon can keep this release pace going, everyone is going to breath a sigh of relief by the end of the year and we'll pretty rapidly get to a point where the basics are all covered. April availability. Nikon future lenses—The 14-24mm f/2.8, 20mm f/1.8, 50mm f/1.2, 70-200mm f/2.8, and 85mm f/1.8 prototypes were shown on display in the Nikon booth. Unfortunately, most of these look big (particularly the 50mm f/1.2; the 70-200mm looks big because it doesn't extend during zooming), so we'd better hope that they're optical wonders. On the other hand, the fact that these lenses all appear to be in final form says that the road map is accurate and that Nikon is hustling with new lenses. Is there anything that isn't glass inside the 58mm f/0.95 NOCT? Nikon Z6 and Z7 firmware update—A development announcement, not a shipment. We'll get a focus-based update in May that adds Eye-detection and has "increased AF/AE performance." Not a lot of details, but it's nice to know that Nikon believes that they had some fixing to do in the focus arena. The only question is how good that fixing will be, and how far it will go. CP+ show-goers go the chance to use a beta version of the new software in the booth, and it looked good. Scheduled for a later date are CFExpress card support and a new 12-bit raw video output (via Atomos HDMI recorders). All good things. But we want more. Nikon Z5 rumor—Given that Nikon started with 6 and 7, it's not unreasonable to expect that there will be 1, 2, 3, 4, 5, 8, and 9 models at some point. The specific rumor seems to point to a lower-priced Canon RP competitor, though that's the interpretation of people reading the original (and translated) statement. One problem with this rumor is that it comes from an employee of a subsidiary (China). What his definition of "soon" is may not at all agree with what Nikon corporate thinks is "soon," and as we've seen Nikon has been in a rethink period about everything, so nothing's exactly locked in stone. Another problem is this: just exactly what would Nikon de-content out of a Z6 to create a Z5 to drop the price US$700? That implies a US$200 cost of parts reduction to Nikon corporate. You can use a lower end LCD and EVF, and maybe a lower end shutter; SD card instead of XQD; you could strip gaskets out; you could take out controls; but the problem is that I don't think you keep margins intact even doing all that (remember, the initial price point won't hold for long). And more to the point: Nikon doesn't have a kit lens for a true consumer Z camera (same problem Canon currently has with the RP). The 24-70mm f/4 is a US$1000 lens. What's needed is a US$500 lens (which the current F-mount 24-85mm f/3.5-4.5 is) and we don't see one on the roadmap this year, do we? Those of you who read me regularly know that I'm not a fan of FUD (fear, uncertainty, and doubt marketing). Since the source of this rumor appears to be a Nikon employee, Nikon just FUDed themselves. Own goal. Nikon WR-A10 and WR-10—Once again we get a temporary suspension of production on these key wireless elements. Nikon's claim is that they're rebuilding the production system for them and are having trouble procuring parts. New production won't occur until July 2019, at the earliest. Couple this with the problem that the WR-10 was poorly designed: you can't use it and an HDMI connector at the same time on the Z6 and Z7, and you have the usual Nikon Can't Do Accessories complaint I've had for years. I'll say it again: if you're going to go it alone building an ecosystem, you have to build the whole ecosystem and do it well, not just build cameras. Frankly, this is incompetence. Olympus 12-200mm f/3.5-6.3 m4/3 mount—An m4/3 lens that makes a fair amount of sense, at least to superzoom aficionados. Everything really depends upon how well this lens performs across its range, as we already have the excellent 12-100mm f/4. Still, I'd rather have Olympus doing this kind of thing than the E-M1X. Panasonic 10-25mm f/1.7—Nope, Panasonic hasn't forgotten m4/3. A hefty new wide-to-normal zoom was on display, but no details were disclosed. Though it's a big lens, it looks like a GH5 videographer's wide angle dream, though: fast, aperture ring, covers the 20-50mm focal length range many need for indoor shooting. Panasonic FZ1000 [advertiser link]—A big zoom (25-400mm equivalent) 1" sensor all-in-one-camera. Yawn. 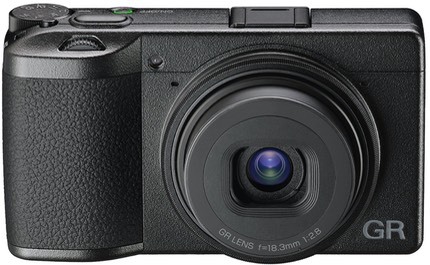 Panasonic ZS80 (TZ95) [advertiser link]—A big zoom (24-720mm equivalent) 1/2.3 inch sensor compact camera. Yawn. ProGrade CFexpress—put out a press release looking for development partners who wanted to test two new lines of CFexpress cards, Cobalt (1.6GBps with 1.4MBps write burst speed) and Gold (with write burst speeds from 600MBps to 1GBps). Capacities will start at 120GB and go to 1TB. In addition, they apparently have a USB 3.1 CFexpress reader coming, as well. Ricoh Theta Z1 [advertiser link]—A huge and welcome update of the original Ricoh 360° camera, now with twin 1" BSI 20mp sensors. Basically captures 26mp 360° raw stills, 23mp 360° JPEG stills, or 360° 4K/30 fps video, with a couple of tricks up its sleeves. I liked the original model, and this seems to address some of my concerns about it. Thus, on paper the Z1 looks very interesting, which it had better given its US$1000 price, a significant jump over the previous model. Android inside means it'll get some extended abilities over time according to Ricoh. And did you know that Ricoh has a US$5000 desktop direct to t-shirt/garment printer? Sometimes they look like they understand the future. Ricoh GR III [advertiser link]—This classic camera update had been going around the world to trade shows in a glass case for over six months, and apparently someone finally found the key to unlock the case and let people actually handle it. What's new? Not much and a lot. We get a 24mp sensor with IBIS to replace the older 16mp non-IBIS one, we get phase detect autofocus, the redesigned lens focuses a little closer, a touchscreen (fixed), and the body has lost a bit of size (without losing weight). Still no 4K video, and the camera loses the previous pop-up flash and some battery life. I guess if you liked it before you'll still like it, but it's tough for me to feel like much progress was made here. Instead it feels like this should have launched at least a year ago. Oh, and if you have the wide angle adapter for the older GR, you'll need a new one. Ricoh also updated their waterproof compact WG to the WG-6. Samyang Lenses—The Korean optics maker was busy. Of note to mirrorless users are RF mount versions of the 14mm f/2.8 and 85mm f/1.4 manual focus lenses (previously available in other mounts). Sigma L Lenses—Sigma announced that eleven of its prime Art lenses will be available in the L mount sometime in the next year: 14mm f/1.8, 20mm f/1.4, 24mm f/1.4, 28mm f/1.4, 35mm f/1.4, 40mm f/1.4, 50mm f/1.4, 70mm f/2.8, 85mm f/1.4, 105mm f/1.4, and 135mm f/1.8. If I'm interpreting their materials correctly, the first ones arrive in the fall, and we'll get three or four others every couple of months after that. I've reviewed four of those lenses in other mounts, and they were all quite good. Sigma also announced mount converters for Sigma SA and Canon EF lenses for L mount cameras. Sigma L mount camera—The full frame 20mp Sigma L-mount camera won't arrive until 2020. Everyone keeps using Sigma marketing's 60mp claim to describe this camera, and because they do, they're not catching a few things. The current Quattro H is a 1.3x crop (APS-H) 25.5mp camera. Hmm. This new camera has fewer and larger pixels. What's the thing everyone dings Sigma for? Low light performance. What do fewer and larger pixels provide? Low light performance. I'm not expecting miracles here, as the Foveon sensor approach definitely has its limitations, but the Foveon lovers should be welcoming the news. (Since the question always comes up: what's the Bayer equivalent of the Foveon approach? My general rule of thumb has been 1.5x. So a Foveon 20mp sensor performs much like a 30mp Bayer sensor in terms of resolution (and with fewer artifact issues). Sony 135mm f/1.8 GM FE mount—A much welcome fast, moderate length telephoto lens for the Alpha cameras. Sony continues to slowly round out their lens lineup, and it's the telephoto side that needs the most work still, so this new offering has just increased our choices in a useful way. Thing is, though, 135mm is an odd focal length to make work these days. It's a bit long for portraiture, and it's not the right focal length for many sports. Still, I can think of ways I'd want to try this lens. Late April Availability. Sony CFexpress—Sony announced development of both a 1.7MBps CFexpress 128GB card and MRW-G1 card reader. This is a "tough" design, able to withstand additional force. Includes card condition and file rescue utility software. 56GB and 512GB cards are coming in the future. Both Nikon and Panasonic have cameras that will be able to use CFexpress cards in the future (Z6, Z7, S1, S1R), but it's unclear if they'll be able to take advantage of the extra speed. Available summer 2019. Tamron 17-28mm f/2.8 FE mount—Another interesting development announcement of a lens for the Sony FE cameras, as it has a modest size for a full frame wide angle zoom (67mm filter rings) and light weight make it an interesting choice over Sony's 16-35mm f/2.8. Given that we now have a Tamron 17-28mm f/2.8 and a 28-75mm f/2.8, might we expect a 75-150mm f/2.8 next? That would prove interesting. Tokina 100mm f/2.8 Macro FE mount—An autofocus lens of the "usual" focal length—too short, in my opinion—for the Sony full frame cameras, once again called Firin. April availability. Voigtlander Nokton 21mm f/1.4 FE mount—a new Sony FE wide angle, manual focus lens (though it supports the 5-axis IBIS). This was a development announcement, though given that many of the details are known, the lens has probably entered early production. Voigtlander Nokton 50mm f/1.2 FE mount—a Sony FE version of a lens that already exists for the Leica M mount. April availability. Voigtlander Nikon Z-mount adapters. The fabled manual focus lens company announced M-mount to Z-mount adapters (both normal and close focus), and an E-mount to Z-mount adapter. Voigtlander also announced RF versions of the M-mount adapters. Canon. It's a qualified win, but the RP definitely got a lot of attention solely on price, and it's going to kick off another rise in the number of folk transitioning from DSLR to mirrorless. The RP very well may be the right camera for the time. Panasonic. The L-mount has its advantages. Sigma dropped a bunch of Art lenses, and Leica even piped in with a nice 35mm f/2 that should appeal to S1/S1R users. I'm still concerned that the L-mount needs to go on a diet, but it's healthy and alive. Sigma. Along with the split into Art, Contemporary, and Sports, there was a second bit to Sigma's modern lens thrust: they also came up with a way where you could send your lens back to them and have it converted to a different mount (back then, Canon EF, Nikon F, Sigma SA, all DSLR mounts). That turned out to be a seminal decision for Sigma, as it's now allowed them to pivot their Art series lenses from DSLR to mirrorless by mostly just doing a mount switch (there's a little more to it than that, but the point is that there is no optical redesign and no mechanical change other than at the mount). The Art primes are available for Sony FE, and now soon, L-alliance cameras. I'm sure we'll eventually see RF and Z versions, too. Thus, Sigma has been the one company who most easily is navigating the many mount machinations going on in the market. The downside, of course, is that DSLR-designed lenses, which these all are, end up being big when put on mirrorless mount with its shorter flange distance. Still, this was a big win for Sigma. Sony. Maybe things have slowed a bit on the body side, but lenses continue to pop out from all corners in the Sony E/FE world. What did I write about licensing specifications in order to increase the ecosystem size? Yeah, Sony got that memo, Nikon didn't. Sony's now at 31 full frame lenses themselves, plus add in all the Samyang, Sigma, Tamron, Tokina, Voigtlander, Zeiss, and other third party lenses, and you're approaching 100. That basically puts Sony at enough parity with the Canikon DSLR mounts for most people. 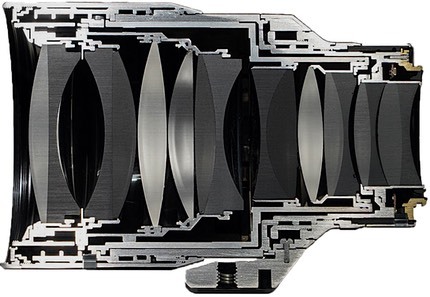 What's still missing, though, are the exotic lenses (long fast primes, tilt-shift, etc.). Tamron. Once known only for superzooms (e.g. 6x-10x consumer zooms), they've hit new strides in the recent past with a series of serious lenses with less zoom ratio that are getting high marks in reviews and tests. They also seem to have a good grasp of what will sell, too. Nikon. Going it alone makes you look, well, alone. Sony's getting all the third-party lens support. Nikon's getting lots of L-plates ;~). It's nice that we've got two more Z lenses in our near term (14-30mm f/4, 24-70mm f/2.8), but the firmware announcements sound more like "we'll catch up" than "we're here and making waves." And those lenses we did get a peek at look a bit on the big side, which is not consistent with the bodies. That Samyang gave us two RF lenses but not Z lenses was a bit telling. Olympus. Really? Cancelling the Pen-F right before the show without replacing it? That almost seems like a slap in the face of the Japanese customer. The messages to consumers from Olympus going into CP+ seem quite disjointed. The only 20mp cameras Olympus now sells are expensive (E-M1m2, E-M1X). Something's wrong with this picture. You might have noticed how many of the announcements were lenses. Get used to that. The number of camera bodies and how fast they can be iterated will continue to go down as long as the volume of camera sales continues to decline. With so many new mounts and so much competition to hold or increase market share, the natural place for seeming to be active is in lenses. Lenses are what we call perennial sellers. It's not unusual to see a lens be available new for a dozen or more years. Canon—M is still a mystery to me in how it plays with R. Nothing new to report there. But the high-end lenses and lower-end bodies for R are a mismatch that has to be fixed. Canon needs more consumer RF lenses and more prosumer/pro R bodies. The sooner they get to that, the better off they'll be. Fujifilm—Canon's RP pricing really forces high-end APS-C like Fujifilm to aspire even higher, but at an even lower price. The X-T3 is now priced above the RP. That's okay, but only if the X-T3 really has plenty of performance points to market (I'm not sure it does). In essence, this ups the ante for the eventual X-T4. To hold the X-T price point now is going to require one heck of a future body. Nikon—Nothing's really changed, other than Nikon needs even more sense of urgency. We need to see more firmware updates that pushes the Z6 and Z7 upward in performance, and we need to see Z lenses—other than the NOCT—pop out faster. For Nikon, getting to parity with Sony is their most important chore, and will be for awhile in mirrorless. But we already knew that. I suppose there's now the question of whether Nikon wants to create a Z5 positioned against the RP (e.g. a D610 equivalent). The problem with that is that the Z6 is already "simplified" from the equivalent DSLR, and I'm not sure just how simple you want to go and whether that would actually cut enough cost out of the product to make sense economically. I'm pretty sure Nikon really wants to sell at the US$2000 and US$3000+ price points, not at the US$1300 price point Canon just promoted. Olympus—They're now officially "out of touch." Adding the E-M1X and dropping the Pen F seems like the opposite of where m4/3 fits for most people. It's not just my opinion here: I'm hearing the same thing from a lot of puzzled m4/3 owners. So the new to-do for Olympus is get the small/light mojo back into play. Panasonic—Nothing really changed for Panasonic due to CP+ and all the related announcements. Pentax (Ricoh)—Nothing really changed for Pentax, either. They looked long in the tooth before, they look longer in the tooth now. Sigma—Okay, enough with the Art lens repurposing. That's a good thing, as it gives us more options, but it's not really catering to the aspects of mirrorless that entice many (smaller/lighter). Sigma really needs a new line, call it Travel, that's optimized to the new mounts. Say, a 24mm, 35mm, 50mm, 85mm f/2.8 series that's closer to pancake. Sigma's also getting taken to the cleaners by Tamron in the mirrorless zoom realm. Making slightly smaller but still fast zooms by tweaking the ratio down a bit was brilliant. Sigma needs a response to the Tamron 17-28mm, 28-75mm f/2.8 zooms. Again, call it the Travel line. Sony—Canon's pricing is cutting Sony off a bit at the low end. Sony wanted a battle? They got it. But nothing's really changed in the Sony To Do list. They have a lot they still need to do (A7Sm3, lenses, bolster APS-C, etc.). The only thing that's been added is the same thing that I mentioned for Nikon: does Sony want to create a cut-down entry full frame body (instead of using the previous generation camera to hold that price point)? It would allow them to address their UX approachability issue if they did it right (e.g. a true consumer camera for consumers, that doesn't puzzle the user with complexity and lack of organization in the menus). Tamron—Nothing's changed. Just keep doing what they're doing. Tokina—Unlike Tamron, I'm starting to get the impression that Tokina isn't keeping up. Recyling a lens and calling it Opera isn't going to hack it. Finally, CP+ is both a user show (ala Photokina and Photo Expo+) and a bit of a trade show (ala CES or NAB, where industry folk get together. There's always been a strange dichotomy with CP+ on the presentation side. Most of the user presentations are pretty beginner/intermediate in nature (e.g. "We teach how to make bright and clear photos of flowers"), while most of the industry presentations are serious and statistical (e.g. NPD was presenting their US market findings for camera buying). I was struck by one topic title though: "Photos you can't take without a tripod. Photos you can take because you have a tripod." Ponder that one for a moment. There's an interesting truth lying just below that topic headline, and the implication, of course, is that there is more to photography than just the camera. Sounds like something I need to do a followup article on.